This is Phillip. She is a little blue penguin with a red bracelet on her right wing. Phillip was born on January 3, 1997, at the Melbourne Zoo in Australia. She came to the Aquarium in July of 1997. Phillip is named after Phillip Island. Phillip Island is located off the south coast of Australia just 140 km (about 85 miles) away from Melbourne. Phillip Island is known for its "penguin parade". 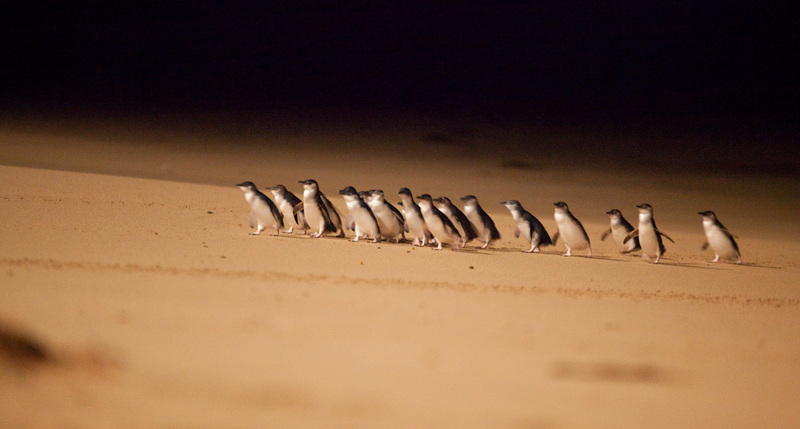 (Learn more about the penguin parade in this guest post from Peter Dann with the Phillip Island Nature Park!) 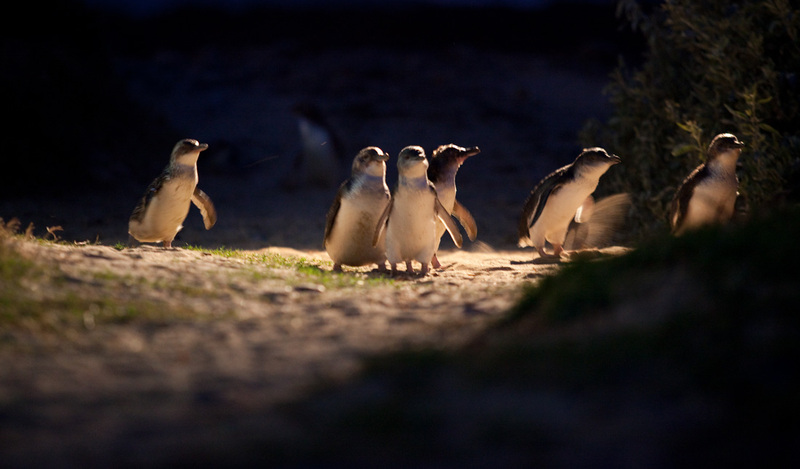 Little blue penguins naturally will leave their burrows before sunrise to spend the day at sea foraging for food as the cover of darkness keeps them safe from land predators. 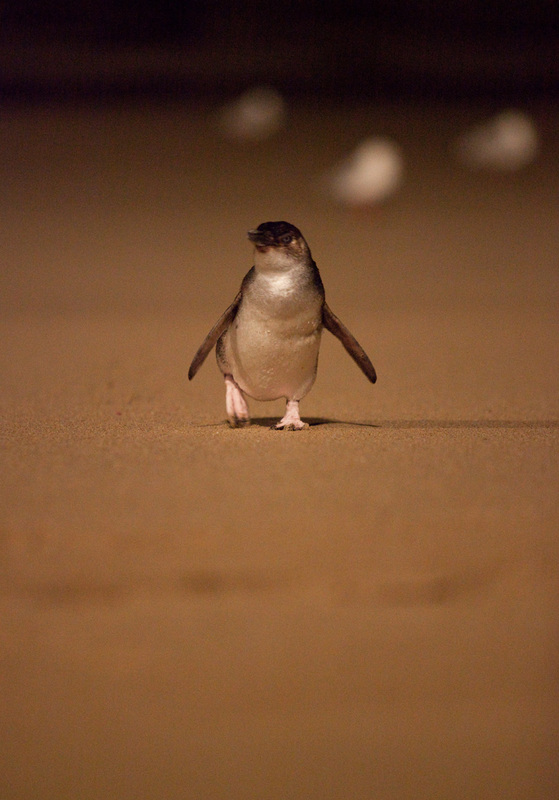 As they return to their burrows at sunset, tourist at Phillip Island watch the hundreds or thousands of little blue penguins as they emerge from the surf and waddle across the beach back to their burrows. The Phillip Island Nature Park has set up designated viewing areas so tourist can get a once in a lifetime experience with no disruptions to the penguins and their breeding areas. Phillip is one of our more successful little blue breeding females and has raised three chicks here at the Aquarium: Gur-Roo-Mul II, Lillico and Kororaa. 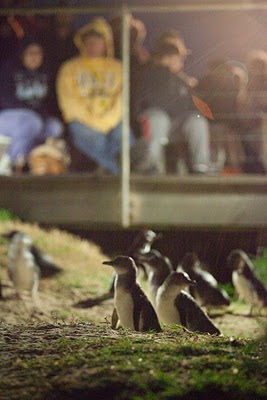 You can find Phillip along with her offspring "parading" around the little blue penguin island at the Aquarium!